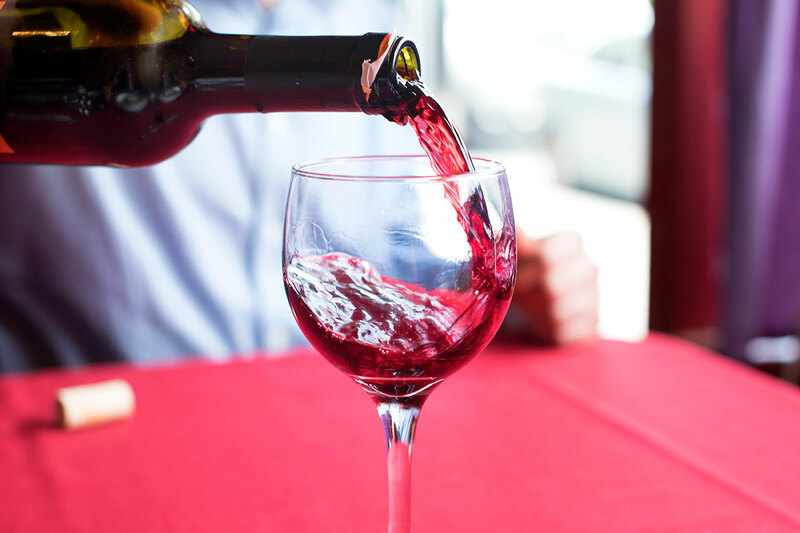 You might recall that in December’s “Industry Expert” piece, I mentioned that I am working towards a healthier lifestyle where I’m more conscious about what drinks and foods are going into my body. I’m following up on that piece with another interview, this time with Jules Aron. 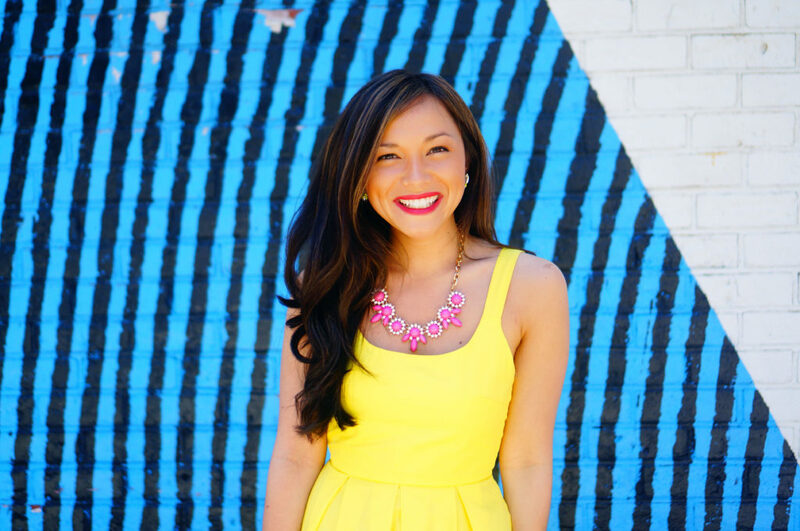 Jules is a health and wellness coach, and green lifestyle expert. She holds a Masters degree from NYU, is a certified Yoga, Qigong & Traditional Chinese Medicine Practitioner, and is a Certified Health & Nutrition Coach from The Institute of Integrative Nutrition! 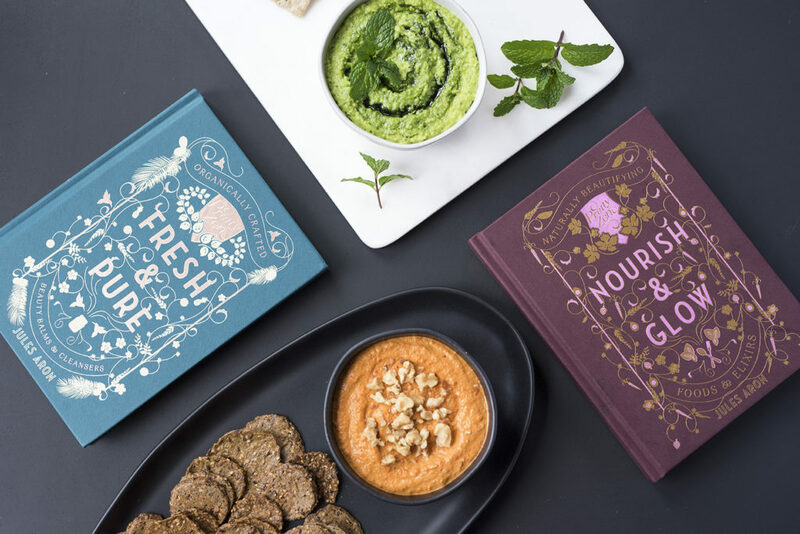 I had the chance to dive into her newest books, Nourish & Glow and Fresh & Pure, and let me tell you they opened up my eyes to a whole new world of health and wellness. Nourish & Glow is chock full of knowledge on what you should be putting into your bodies while Fresh & Pure focuses on organically crafted beauty balms and cleansers. I love how both books have hefty intros with information on the staples you should be keeping in your kitchen and beauty cabinets. So far I’ve learned about “glow-getting” herbs and spices such as basil and cardamom, what foods you should/shouldn’t combine, and the importance of hydration, movement, and sleep. And that’s just the tip of the iceberg! The books also provide a lot of everyday recipes you can follow to lead a healthy and happy lifestyle. 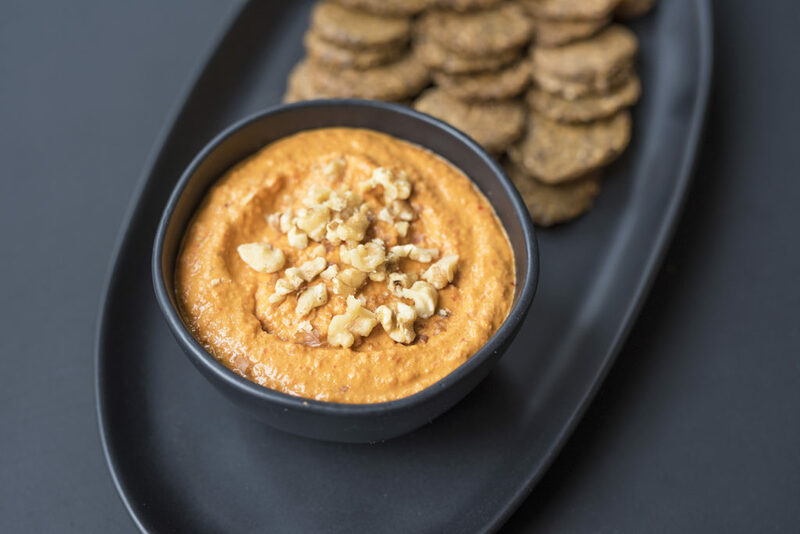 Last weekend I made the Muhammara red pepper walnut dip and green pea and mint hummus (you’ll see them featured in the photos below). I was so excited because I was able to use fresh mint from my new garden! You know that urge cookie dough lovers get when making cookies and they just HAVE to lick the spoon. Yep. That was me with these recipes. 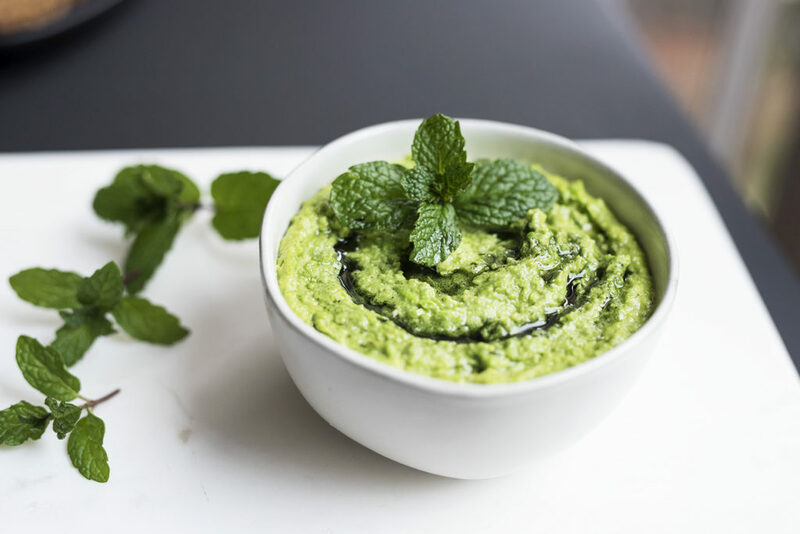 I scraped every little drop off of the food processor when making these dips because they were SO good I couldn’t get enough. Plus there was no guilt afterwards because of all of the healthy and fresh ingredients! Without further ado, let’s get onto learning about Jules! Your mom was a chef and dad was a restaurateur so I’d assume it’s safe to say you were around food quite frequently growing up! 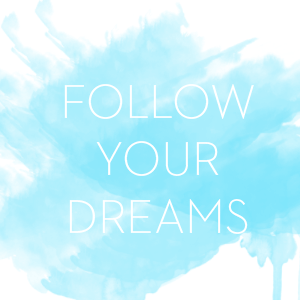 When did you realize that the health and wellness industry was where you wanted to be? Did growing up in the food industry have an impact on that decision? Yes! It’s safe to say I grew up around food. Wholesome, nutritious food. My parents kept the sugary treats and junk food away. So when it came to making my own decisions about nutrition, I kept it clean as well. 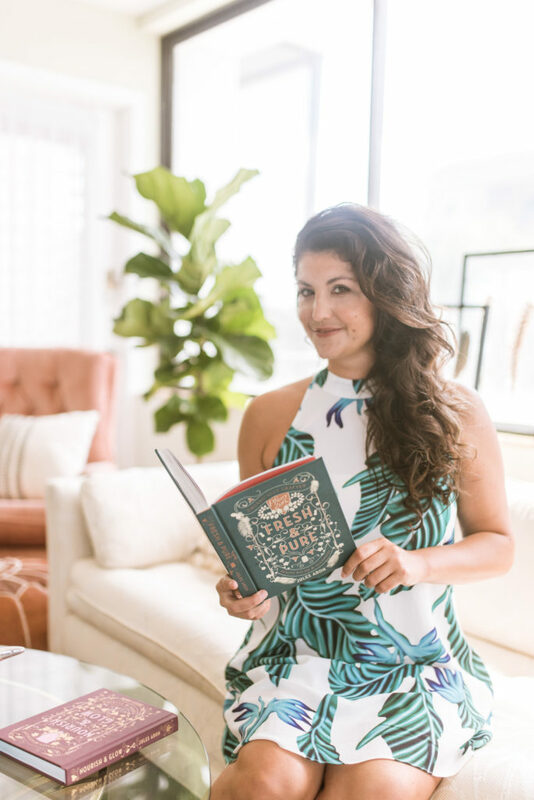 Although my first career choice was publishing, by the time I transitioned into a career in wellness, it was no surprise that I chose cooking and cookbooks to share my wellness knowledge. You’ve got quite a few books under your belt! How many is it again? Did you always have a knack for writing or was there a particular event in your life that pushed you in that direction? I have written four books so far. Zen and Tonic was my first, followed by Vegan Cheese. Nourish and Glow and Fresh and Pure, which make up the Pretty Zen collection, are my third and fourth respectively. I studied journalism and communication in college and got an MS in publishing. I was in love with magazines and always thought I’d end up in that world. After a few years in the industry, I realized it wasn’t quite what I expected. That’s when my interest in Ayurvedic sciences and Chinese medicine peaked, as well as holistic nutrition. After several years establishing a coaching practice, I decided to write about what I knew instead. –finally coming full circle, if you will. What were the initial steps you took to get started on your first book, Zen and Tonic? When I got the flash of lightening with Zen and Tonic, I knew I had to find an agent. I signed up for a pitch conference –which is what I like to describe as speed dating for entrepreneurs– and found my agent during that weekend. Were there any major challenges along the way? There are always challenges and hurdles along the way. That’s why I always say you need to be extremely passionate about the project. It’s the passion that drives you forward during those difficult times. Your content focuses on natural health, beauty, and nutrition. How did you learn so much about those areas? Did you have to go back to school or get any special certifications? After I realized that magazine publishing wasn’t quite what I expected, I spent a lot of time soul searching. Along the way, I devoted my attention to martial arts, qigong and Chinese medicine. I also studied yoga and Ayurveda. I was always interested in natural healing practices but I mostly studied for my own personal knowledge. It wasn’t until years later that I decided to pursue this as a career and got certified as a holistic nutrition coach. And like anyone who works with clients knows, you often have to get very creative to inspire real change in people. Writing books is my way of inspiring long lasting wellness in others. 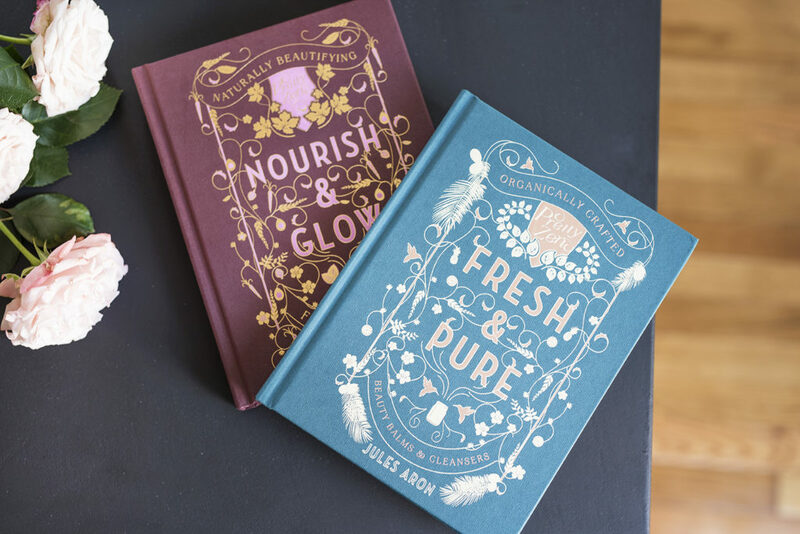 The covers of your newest books, Fresh & Pure and Nourish & Glow, are absolutely gorgeous! How did you decide on the illustrations? Since the books are all about natural beauty using holistic principles, I wanted a vintage apothecary look, similar to the cover of Zen and Tonic. We opted for cloth hard covered books with a gold embossed antique-style script. Tell us a little bit about what we can expect to find in your new books and what inspired you to write them. I’m a strong believer that our journey to well being should be simple, natural and beautiful. 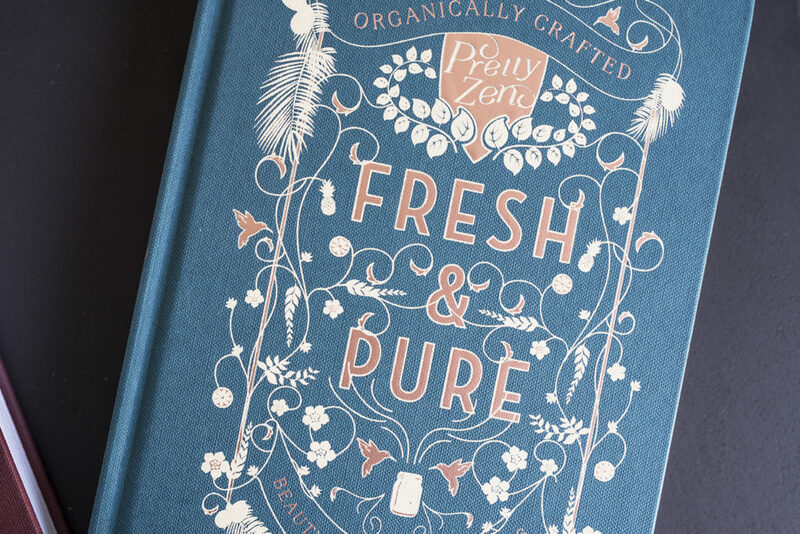 The Pretty Zen collection is a series of two books with natural beauty in mind. 150 recipes that promote healthy, glowing skin inside and out. Fresh & Pure focuses on DIY homemade skin and body care using common herbs, teas, fruits and veggies that pamper the skin while Nourish & Glow is a cookbook that encourages eating for beauty. Simple, plant-based, nutrient dense, whole food breakfast, lunch, dinner options plus superfood charged snacks and nourishing and detoxing tonics and elixirs. How long was the process from start to finish for these new books? The books took under two years to create, write and photograph yet the idea has been in the works for a lot longer. I’m sure it’s hard to choose but do you have any favorite recipes from them? I’m such a snacker! 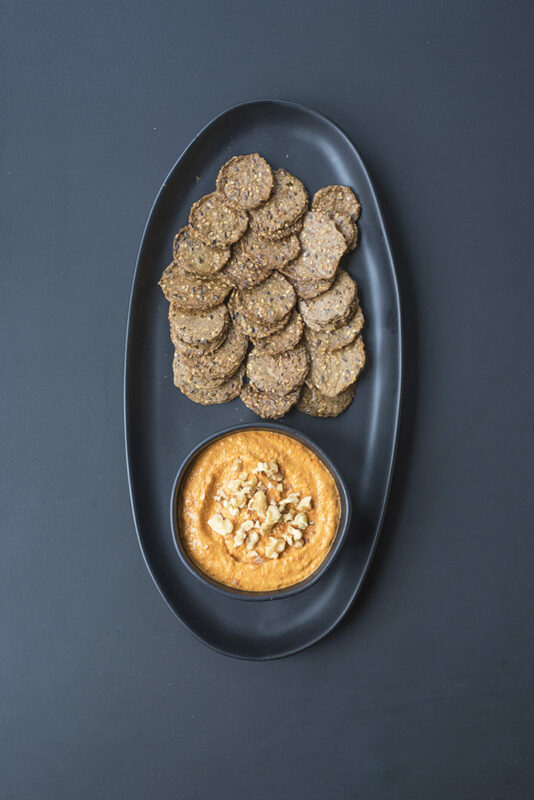 In Nourish and Glow, I especially love my supercharged snack section, where I sneak in extra superfood goodness in my salsa, pesto and guacamole. I also absolutely adore the grain-free, refined sugar-free and dairy free carrot cake donuts with citrus cream cheese frosting. In Fresh and Pure, If I have to choose, I’d have to go with the pomegranate and rosehip whipped moisturizer that feels so luxurious on the skin, the sea mud firming body wrap that tones every inch of the body and the hair frizz tamer spray that hydrates and smoothes fly-aways with all natural ingredients. Are there any specific beauty routines you follow regularly using the recipes in Fresh & Pure? I’m a huge believer in self care rituals. I especially love to end my evenings with a bath. I often make different blends of salts for that purpose. I describe my own bath ritual extensively in the book. I also love creating herbal oils for my face. I like to indulge in a regular facial massage that I also describe in Fresh and Pure. What are your top pantry staples that you can’t live without? I like a lot of bang for my buck, and the tiny Chia seed delivers fiber, protein, omega-3 fatty acids, and a variety of micronutrients essential for beautiful skin. Similarly, the hemp seed is a complete source of protein that support healthy cell building and repair. They are also an excellent source of omega fatty acids, including gamma-lineolenic acid, a rich source for beautiful glowing skin, hair and nails. And raw cacao, my top favorite. Cacao ranks as one of the most antioxidant-rich foods in the world, and one of the highest plant-based sources of magnesium, calcium and iron for healthy, strong hair and nails. I like to do a raw cacao elixir instead of coffee in the morning. Do you have any tips for others out there that might be interested in diving into writing a book of their own? Writing is a work of passion that requires time and dedication, and often goes unrecognized, so it is very important that you enjoy the process and the subject. Once you’re committed, give it your best! I’ll continue to write, share, and create until my inspiration runs dry! If you haven’t had a chance to check out Jules’ newest books, you can find them here and here.